Sometimes, a situation can spiral out of control even when nobody involved has done anything wrong, as if fate has simply conspired to give multiple people a bad day for no reason at all. Recently, the passengers on a Transavia Airlines flight from Dubai to Amsterdam found themselves in an unwinnable situation just like that after a fight broke out over a farting passenger. As explained in a Metro story, a man on the flight “refused to stop farting,” prompting two men seated next to him to become infuriated by his flatulence. The pilot tried to break the tensions over the broken wind, but the crew of the flight reportedly “refused to do anything about it” and allowed the disagreement to erupt into a full-on fart fight. Now, on the surface, it seems like there are clear villains here depending on your perspective. The farter who kept farting seems bad, the fighters who fought the farter seem bad, and the airline seems bad for allowing this fart fight to stink up the plane (and for allegedly booting two people who weren’t involved). However, can you really blame the crew for not wanting to get involved? 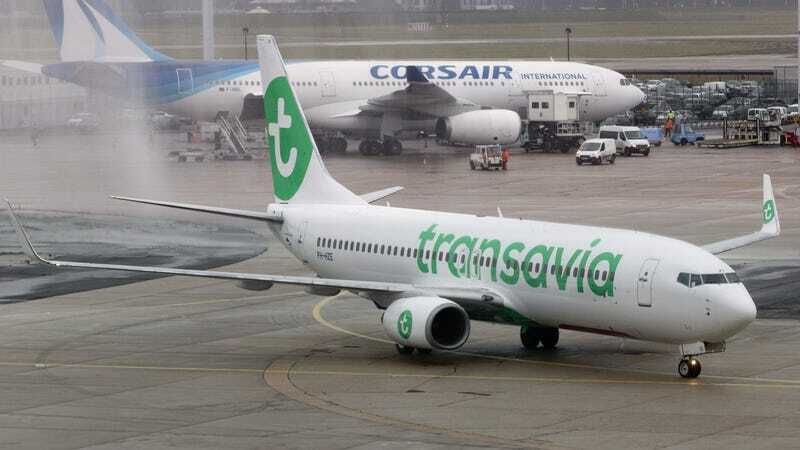 Transavia is a budget airline, so it surely doesn’t pay its employees enough to break up a fart fight. As for the anti-farters, who among us hasn’t wanted to throw a punch at someone who refuses to stop tooting up a storm? Finally, the farter himself is probably the most guilty, but as it says in the Stinky Bible, “let he who is without fart break the first wind.” In the end, this is just a tragic situation with lots of losers and no winners—other than everyone who wasn’t on this fart plane and therefore gets to enjoy hearing about it. Those people are winners.